You make me smile… What&apos;s your addiction, is it money, is it girls—or is it cycling? 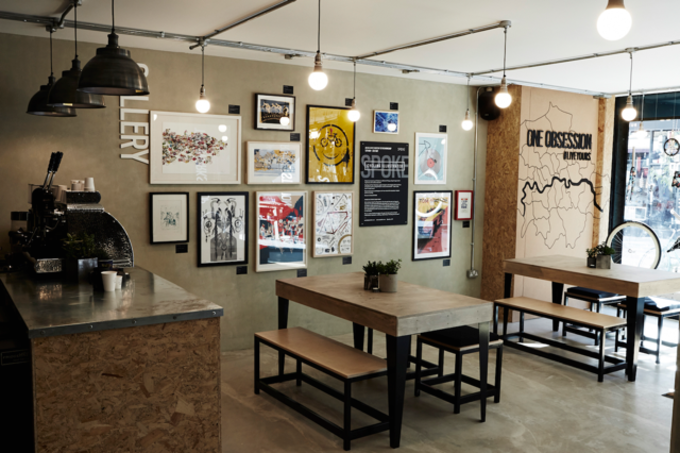 If so, then you&apos;re in luck; Oakley have opened up their newest ‘In Residence’ space, a creative workshop in London as part of their ONE OBSESSION campaign. 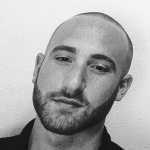 The campaigns aim is to bring people with shared obsessions together, providing a platform to share their passion, be inspired and inspire others. 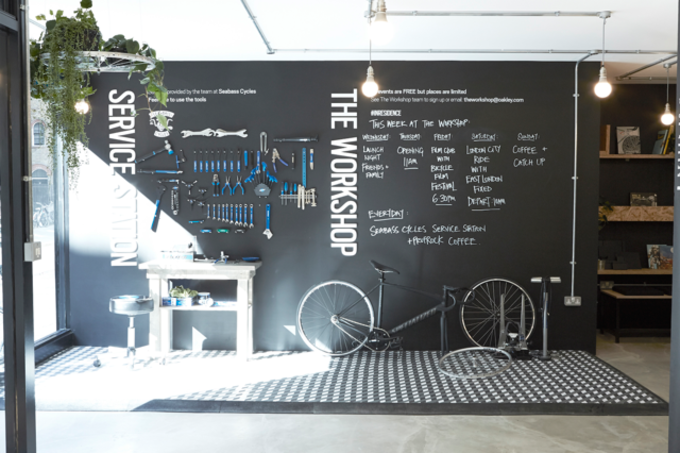 The space is a pop-up cycling hub aimed at encouraging creative collaboration, offerings weekly shindigs such as rides with the ‘East London Fixed’ squad, bi-weekly film clubs, workshops with ‘The London Bike Kitchen’ as well as chances to meet some of their professional athletes. 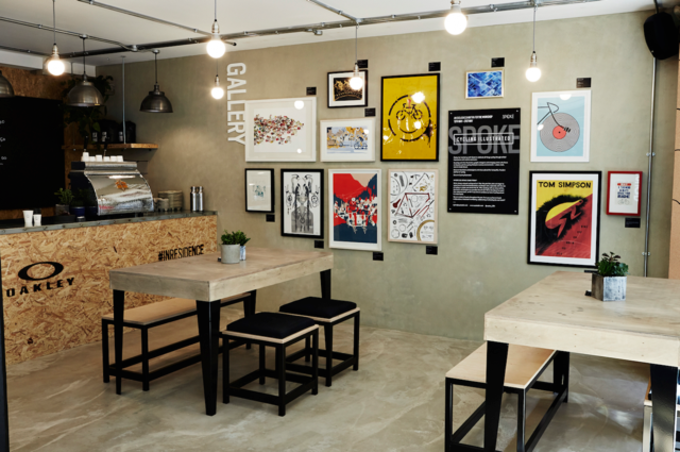 Don’t panic, your caffeinated dreams will be provided by Prufrock Coffee. The opening of the London workshop follows last months opening of Oakley In Residence in Los Angeles, celebrating skate culture. 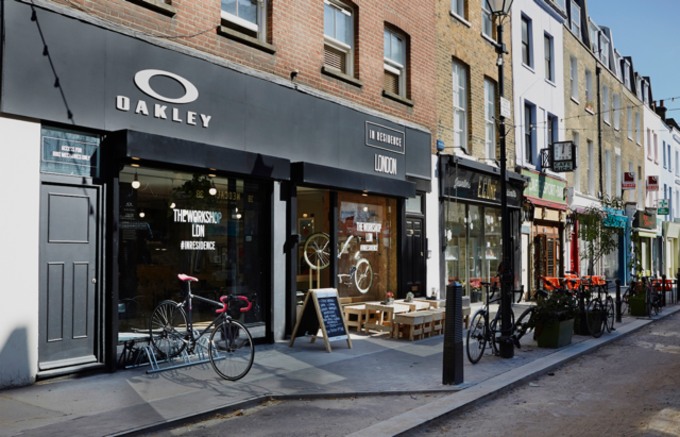 Oakley&apos;s London pop up workshop is free the public, it is open weekly Weds-Sun, make sure you head down to check it out. ​Watch the teaser for the workshop above and check out shots of the space below.